Seven Easy Pieces! 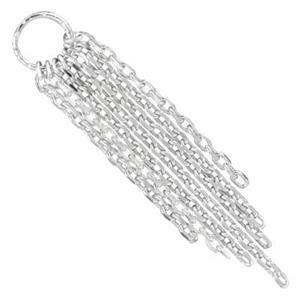 At Halstead, we have a wide variety of Jewelry Making Tassels for you to choose from for your Jewelry Line! Our S6528 – Bright Sterling Silver with Seven! Individual 1.9mm Flat Cable chains that comprise this flirty little tassel! Simple. Elegant. Flashy! An easy way to upgrade and accessorize your earring designs! These are cute. I made some earrings using them. Tassels are big now. I love the chain look. A decent price, too.